Chennai : Stung by severe criticism by national media, adding to the perception of a malfunctioning government, Chief Minister Edapaddi Palaniswami will be leaving on a tour of the Cyclone affected regions in southern Tamil Nadu tonight. He is expected to leave for Nagapattinam by train so that he can travel through districts that suffered extensive damage in the cyclone. Hundreds of thousands of people are still coming out in protests onto the roads alleging that the government had completely neglected them during their sufferings. In the interiors, many villages suffered huge losses to property and fields and the fishermen lost their boats. Losses are yet to be estimated by will surely be in thousands of crores of Rupees. A central team is also visiting Tamil Nadu to assess the cyclone damage in the state. 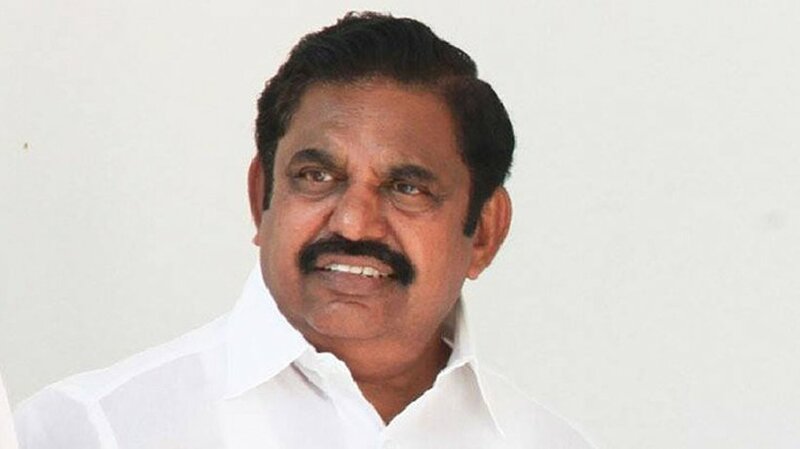 Chief Minister Palaniswami is expected to hold talks with the visiting central team and impress upon the officials on the need to extend immediate help in materials and money. There is growing resentment in Tamil Nadu against the state government as also the centre, which people perceive to be busy in elections rather than help people of Tamil Nadu rebuild their lives. Over 60 people lost their lives in the Cyclone Gaja which in itself is a telling commentary on the preparations of the government and its disaster management authority. State ministers were chased away by angry people when the elected representatives of the ruling party tried to reach out to them, three to four days after cyclone ripped through their homes and lives. For sure, the anger of the people will find expression in general elections to Lok Sabha and clearly the anger will cost the AIADMK dearly and it will find it impossible to retain the 37 seats in won in the state. Barring the PMK and the BJP which won one seat each, the DMK and the Congress drew a blank in the 2014 general elections to Lok Sabha in 2014. Jayalalithaa had extended issue based support to the government and maintained cordial relations with the central government. It is after her death that the state government seemingly capitulated to the centre on every issue, much to the chagrin of the people. The opposition DMK is waiting patiently to exploit the situation as it knows that it is the largest beneficiary of anti-establishment vote this time around.